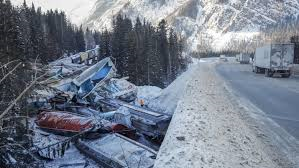 In the Rocky Mountains of Canada earlier this week, a train derailed, killing three, after the brakes failed due to extreme cold. The crash spurred a new requirement that all trains use hand brakes. Canadian Pacific released a white paper on railroading in extreme cold with additional details.